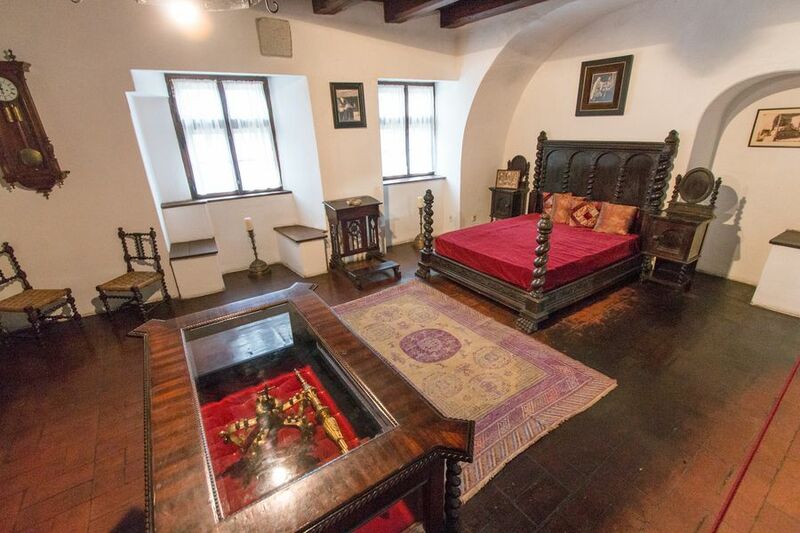 Home » Destinations » Romania » Transylvania’s Bran Castle: Got A Spare $80 Million? When Josh and I watched the movie Dracula Untold I knew in that moment I had to see Dracula’s Castle in Romania. Then we read that the current owner, Archduke Dominic, had placed the castle on the open market for $80 million (£47 million). What a bargain! After the movie we drained all our bank accounts and purchased Bran Castle. Well, that’s how the story would have gone if we’d had $80 million. It was snowing in Romania when we finally arrived on the spooky doorsteps after 10 months of touring Europe. Although we had arrived to a warm sunny winter day in Brasov, snow engulfed us the next day. After we dug the car out from beneath the snow we attempted (successfully) to drive in these unfamiliar weather conditions (remember, we’re from Australia). 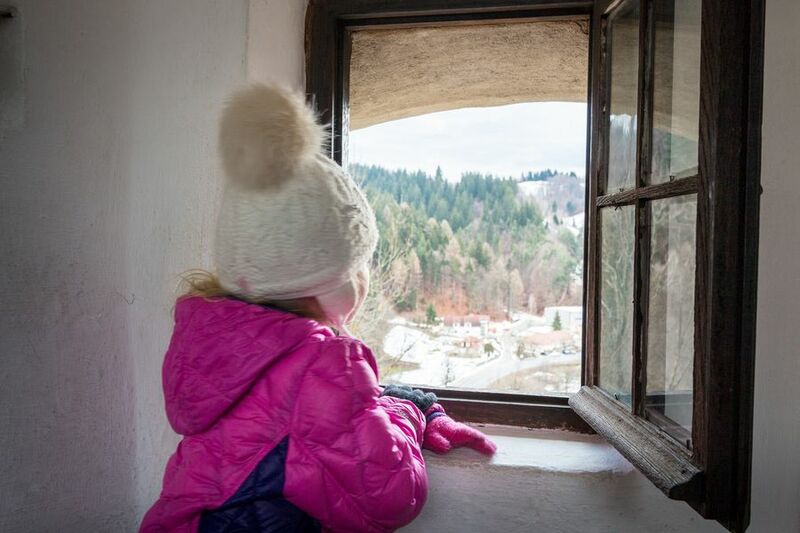 Naturally in these bone-chilling conditions, it would be a perfect day to explore the famous Bran Castle. 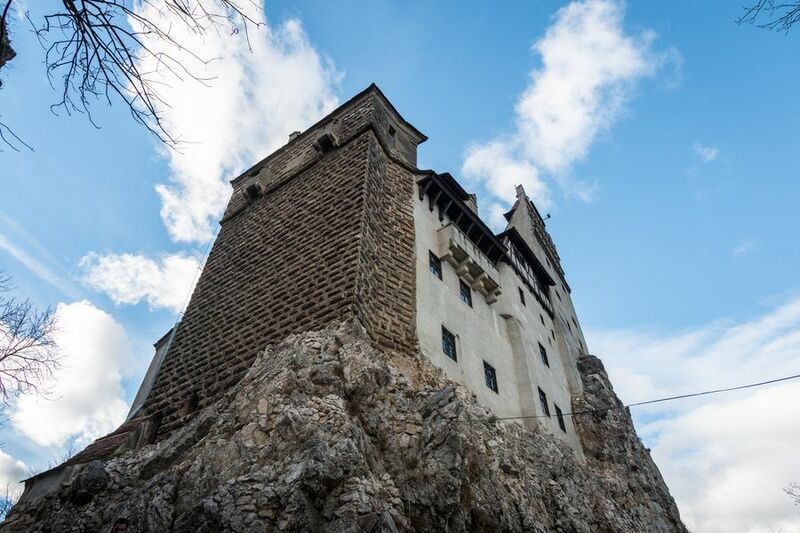 Bran Castle is at the entrance to the Rucăr - Bran passage, on the road connecting Brasov to Câmpulung, over-shadowed by the peaks of the Bucegi and the Piatra Craiului Mountains. 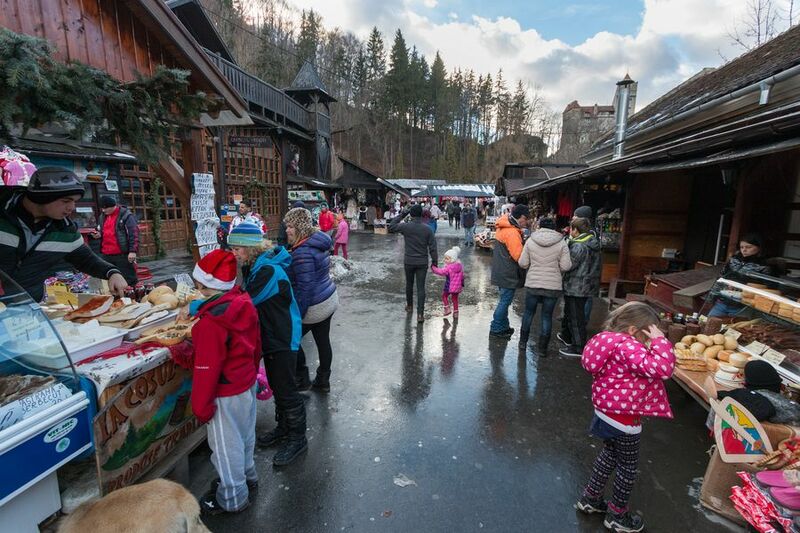 Bran (link to HC) is less than 30 km from Brasov. Leaving Brasov from the west, through the Bartolomeu district, we following national route 73. We easily found parking in Bran opposite the castle and paid a local attendant for our spot (make sure you have cash on you), before taking a hike up a slight incline to the castle. The climb passed through local markets, horror-themed restaurants and intoxicating food stalls, but our goal was the castle – nothing could distract us. Not even a vampire’s hypnotising eyes. We paid for our tickets at the door. At time of publishing prices were 30 Lei (€6.60) for an adult and 7 Lei (€1.50) for kids. Josh’s camera gear is pretty hefty these days so we had to sign a photography agreement and if you intend to film beware of the filming fee 20 Lei (€4.50). The Castle is stunning from the outside but somewhat underwhelming inside. Certainly not as big and grand as the castles we saw in Wales and Ireland or Neuschwanstein in Germany. And not as intimidating as Dracula movies have made out. But as lovers of history there was plenty to sink our teeth into. The fortress is the most popular tourist attraction in Transylvania and commonly referred to as “Dracula’s Castle”. But contrary to popular belief, Bram Stoker’s character Dracula was not inspired by this particular castle (Stoker never even visited it) and Vlad The Impaler (who may have been the inspiration for Dracula) only slept in the castle for one night, so they say. The stories are confusing and divergent depending on where you read them. 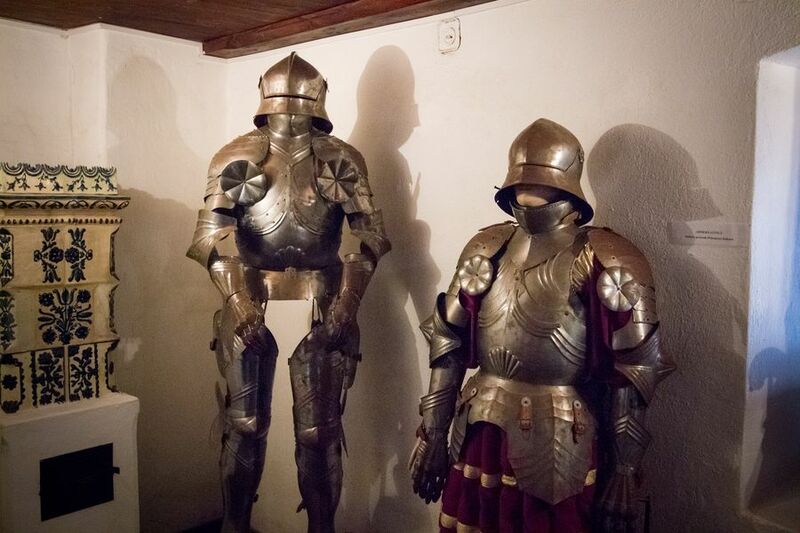 Despite its lack of creepy bloodsuckers, the castle is famous and now harbours a museum displaying art and furniture collect by Queen Marie. 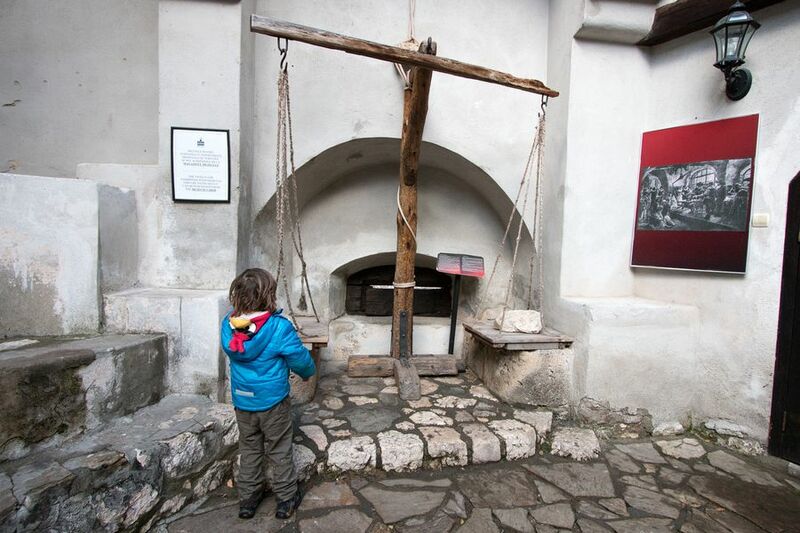 There’s not much more to say about Bran Castle so I’ll let these photos do the talking. Follow me as I take you through “Dracula’s Castle”. Front door. Enter if you dare. 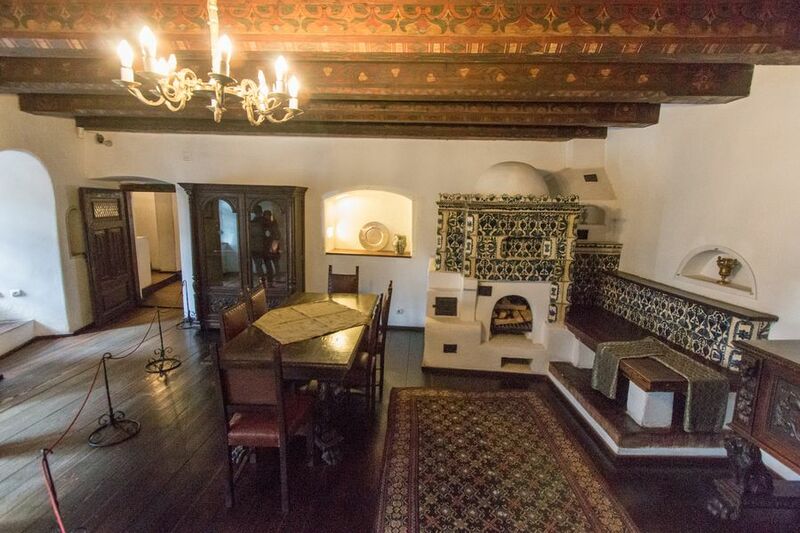 Oh, if you ever do come across $80 million and are looking for someone to housesit your new property... hit me up! So did anyone buy it as yet? And did you see the coffin for the Count? no night photos?